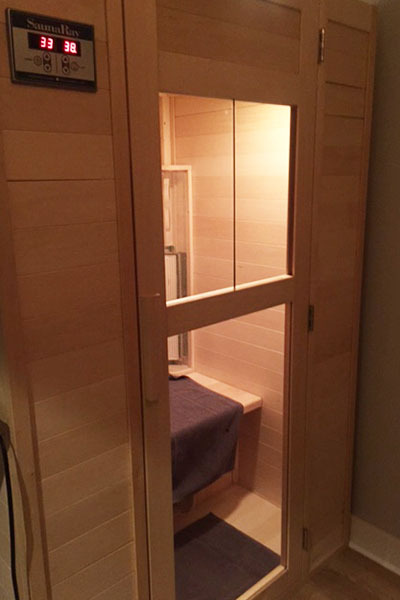 Infrared sauna is a great way to detoxify your body and burn calories. Come and enjoy the quiet and tranquility that a sauna built for one provides. For 30 minutes you get to sit back, relax and let the warm rays wash over you. Burn up to 600 calories without even stepping into the gym. The healing effects will help you look and feel better with every use. The basic participial is similar to a standard sauna in that its goal is to make you sweat, the sweat in turn removes toxins from the body. The difference is that instead of heating the air and using steam to make the body sweat an infrared sauna uses Far Infrared rays(FIR) to heat the body directly. Far infrared rays are invisible wave that are produced by the sun as well as our own bodies. These gentle rays, which have been used by ancient Indian yogis for centuries, are able to go deeper in to the skin and heat the body without the use of steam. 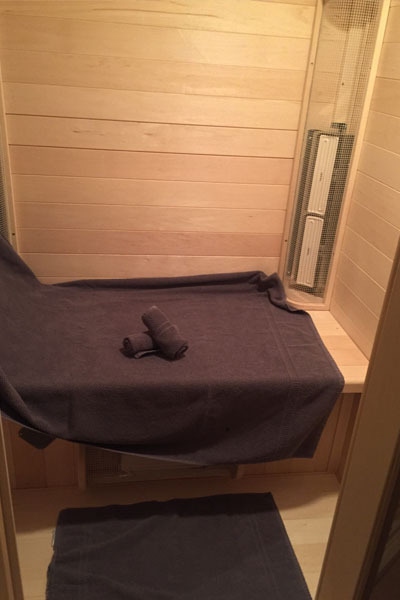 This allows for a more comfortable sauna experience as it achieves better results at a lower temperature. While other saunas generally run around 150-175° F (66 – 77° C) this sauna reaches a maximum heat of about 130° F (55° C).